Digital media is still mostly a young person’s playing field – at least for now. I did technical support for a major outsourcer contracted by what is now one of the most hated companies in America. I was left literally at the brink of tears by how frustrating it can be to teach many older ladies and gentlemen how to set up their e-mails or log-in to YouTube. It was the longest year and a half of my life, and one thing I’m sure of is that it’s always younger people who are the most ready to adapt whatever upcoming tech there is, in interesting ways. The entrepreneurial drive coupled with Gen Y confidence seems to be the ticket to dominating social media. 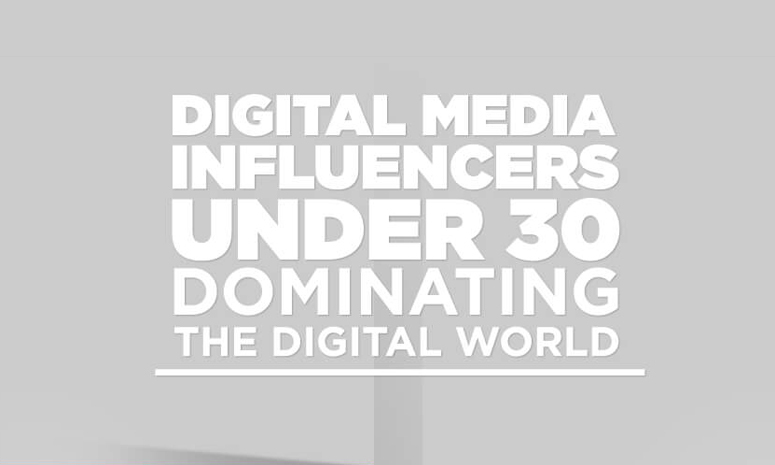 OneProductions.com sent us an infographic titled Digital Media Influencers Under 30 Dominating the Digital World. We’re not so sure they’re “dominating” exactly, since I’ve only heard of one of them, but I could be wrong. How many of these social media prodigies have you heard of? oneproductions.comWhich other Millennial would you say dominates social media? Comment below!